A step-by-step guide for everyone to follow, including non-tech savvy people. How many of these 12 security measures have you used to secure your home network? Here’s a step-by-step and simple guide that explains how you can easily change the name of your wireless network. Use this guide to set up a strong password for your network. Friends coming over for a visit may complain about the unusual length of your password, but this might discourage them from needlessly consuming your data with boring Facebook or Instagram posts. WPA2 AES is also a standard security system now, so all wireless networks are compatible with it. If you want to enable WPA2 encryption on your Wireless router, use these six steps. If you are using a TP-Link wireless router, here’s how to secure your wireless network. You can also change the DNS server that your Wireless router is using to filter the Internet traffic and this guide will show how to do it. The software is an essential part of your wireless network security. The wireless router’s firmware, like any other software, contains flaws which can become major vulnerabilities and be ruthlessly exploited by hackers, as this unfortunate family would find out. And even for those Wi-Fi networks that can auto-update, it still requires you to switch on this setting. But, we remind you about the importance of software patching and how neglecting to do this can leave open doors for cybercriminals to exploit various vulnerabilities. Read what security experts have to say about updating your software and why it is a key to online security. The best part about hardware firewalls is that most of the best wireless routers have a built-in firewall that should protect your network from potential cyber attacks. This article can help you figure out if your router has a firewall built in and how you can activate it. And we strongly suggest to turn it on t if it’s not by default as an extra layer of protection. check which devices connect most often to your home network and make sure they have antivirus and/or an anti-malware security software installed. If you don’t know which one should you choose, this guide will be very useful. Make sure to protect your devices using multiple security layers consisting of specialized security software such as updated antivirus programs and traffic filtering software. You may consider using an antimalware software program like Heimdal PRO or Malwarebytes. Really good informative article. We so wish we had seen this earlier – like many people we did not realise how fixated and dangerous our neighbours are; they hacked into our router and devices and caused carnage, committing criminal acts on our IP. How to catch them red-handed would be a really good follow-up. We have extensive evidence of their cyber crime – where can we publish this? Great info, thanks. A really interesting read. Thanks a lot of the sharing this useful information with us about wi-fi network security. Thank for sharing lovely article. Thank you for providing great content, I appreciate your time and effort. Expected more articles on this topic. You can check my website which is also developed to help users HP Support for HP Customers. Wow, that is great, This is very helpful if we don’t want to run the computer. Netgear router setup issues always a hectic, but now may be resolved. Very information post, Now a days network security is very necessary, when we are going to access netgear router login ans set password, it must be unique and different. I was so overwhelmed after I read this great article. It is very helpful when we talk about are home connection. I wanna use this home security connection on my wifi router with this IP 19216811.me. It’s for family use only but there is no security that I use. So thanks for sharing this! Your post is a big help for people who is planning to secure their home by installing home security at home. Thanks for sharing this article it is very informative for us. Hello, Albert! Thank you for sharing your feedback. Glad to know you found informative and useful content on the Heimdal blog. Having a security system should be knowing the Ultimate Guide Wireless Home Security System for a better understanding of the functionality of the system. This article is the best solution for the secure wireless network. Thank you, Paul Cucu, for sharing this posts. If you have no idea why is your computer running slow, then it is best to leave it to the experts to find out the cause. Geek Tiger Tech’s expert support team will find the root cause of the slowness of the computer and would solve the problem in an effective manner so that you are completely satisfied with the service. Thanks for the awesome posts. Thanks for once this awesome post. I would also like to visit this kind of special posts in the future. This blog gives full Knowledege about Mifi Router. This R800 LTE CAT 6 MIFI Mobile Hotspot Router is a powerful mobile device that allows high-speed Internet access. Working on LTE Cat6 / Cat12 40 MHz CA technology, it offers up to 300/400Mbps downlink and 50Mbps uplink speeds. Its integrated wide range of mobile standards make it the ideal roaming partner. Its 11ac WiFi capability allows up to 10 clients to share internet access simultaneously. Superb, Everyone is using internet nowadays, thanks to this article it is really helpful to improve the network security of your home to keep yourself safe from the cyber threats. Thank you so much for sharing your thoughts with us! It really helped me a lot! Hello! Many thanks for your feedback! Much appreciated! Thanks for sharing this article IOANA wonderful points list. Many thanks for your kind words, Maira! Happy to know you find this article useful! Have a great New Year! Great Post! Thanks for being sharing! If you are facing issues with netgear wifi extender setup and are not able to solve it on your own, then you can visit https://wifiextassist.com/ and get solution for your problems. This post is informative, thank you for this! But you think is it safer to have wifi hidden? Thank you so much for sharing this blog .Your post is a major help for individuals who is wanting to anchor their home by introducing home security at home. I have a question….if I want to maximize security would I enable or disable WPS? Your post is a big help for people who is planning to secure their home by installing home security at home. Many thanks for your kind words, Kevin! Happy to know this article was useful. Your post is a big help for people who is planning to secure their home by installing home security at home. I think Wireless Router is the best one to achieve uninterrupted WiFi while blogging. fantabulous and very informative blog. It will definitely help everyone to understand Wireless Network and Wireless Security. Thanks for sharing nice article, I have searching for TP-Link Archer C5400X wireless connectivity solution and find your article and there is almost every point you cover..
A useful piece of information. Thanks for such a great article on wireless router network security. Really these are the amazing tips about the home wireless security. Great instruction, it is helpful guide. Thank so much. Thanks for writing really helpful guide. Great experience. I enjoyed reading every single line of your blog. Want to get help regarding Netgear? Dial +44 800 014 8213 and get help from our experts. if you want to increase the wireless network security of your home work on different system applications then you must buy wireless mobile router of best quality after visiting the wholesale market and also getting the suggestions of different persons about the best range of wireless mobile router which is helpful in the increase of your security .otherwise your device have show some errors after some time due to the quality of your wireless router ,So you must be careful during purchasing of wireless mobile router in the market . Nice blog, Such a really great information. Thanks. Hello, Eric! Thank you so much for your kind words! If you don’t want to share your Wi-Fi credentials with other people, it would be a better option to hide it, or simply add a strong password. Thanks for post information about home wireless network security. This article can act as a guide to ensure the security of home wireless security. Thanks a lot! Hello and many thanks for your kind words! Really glad this guide helped you enhance protection for your home wireless network. Many thanks for your kind words and appreciation, Jerry! Respected Heimdalsecurity thnaks for this useful information with us. After read your inforamtion about wireless i sloved my issue. Hello and thank you so much for your kind words! Really happy to find out that this article helped you solved the issue. Home wireless network security is much more effective for human needs. Netgear router is far better than other routers in terms of technical support. Thanks for pointing out that the router username and password should be changed immediately upon installation because it can be easy for hackers to guess. I will keep this in mind since we will be having one installed this weekend once we have hired a reputable company to work for us. We just don’t want other people connecting because we will be paying for it, and we only have a limited budget every month due to being minimum wage earners. Great post! Thank you very much for sharing. Many thanks for your feedback, Ricky! Cyber security refers to a set of techniques used to protect the integrity of networks, programs and data from attack, damage or unauthorised access. According to Forbes, the global cyber security market is expected to reach 170 billion by 2020. Thank you so much for sharing such an amazing article, I never change default credentials and my neighbour started using my wifi which result in slow network connection. I never knew that default credential is same for all devices and my neighbours are taking benefits of this. I tried to secure my router many times and read too many blogs like AllWirelessRouters but never found any secure method. Thanks to your blog that helped me a lot. Hello and many thanks for your kind words! Glad that this article was useful and make you more aware about changing passwords. Also, it’s recommended to set unique and strong ones, so others can break them. Thanks for reading our blog! You have nicely informed everything. This is great list and covers all the top points. Just see this question, A sweet smile came on my face. Indeed, there are a lot of causes to the done home wireless network. I always use the wireless network from my business perspective. I prefer to use it to access my laptop and all devices connected to the network. Hello there! Many thanks for your thoughts! 🙂 Happy to know you find this guide useful! Thank you for reading our blog! I used the heimadal security was quite happy with its perfoamance. Thank you so much for your feedback, Sophia, and for using our product. Can you tell us what stopped you from using Heimdal? Your feedback is important for us, so please do share it, if possible. Thank you very much for sharing this helpful article! Thanks for that password tip. I have always just used something simple, like my dog’s name. But, since you mentioned using something a little more security oriented, maybe I should use something more complicated. Thanks for the tips! This is a good article. There is one thing that you can add on to prevent people from sniffing in your wifi. Its to prevent the broadcast of your SSID. This can be accessed on your router interface. I recently had an issue of discovering my next door neighbor had been using our WiFi router in a property we just moved into, apparently the old owner had a deal with him and shared access details. Is there any risk of our data being taken by this guy? I replaced the router and completely changed all router details as part of this to stop it. Is there anything else I could do? Hi, Max! If you don’t want to share your Wifi router with others, yes, this would be a good idea to change its settings. Also, make sure you set a strong and unique password to enhance security. Make sure to apply all the steps described in our article. Well that sure was helpful! Keep up the good work. This is a good article on home wireless network security, so much informative article if you need any kind of help related to Google then directly contact us. Oh, and I do not even have a home wi-fi file, you have to fix it all according to your instructions. Hello and thank you so much for your feedback! Happy to know it was useful! can we share on our website? I suggest checking out GEARS by OPSWAT. It’ll give you a quick security assessment as well as some other free features. Nice blog. Very interesting. I really like this post..
How nice of your to provide this a deep information.Thank you so much. Thanks for your feedback! I’m happy to know you find it useful! It was really helpful, thank you for writingg. It was really helpful, thank you for writing. My wife and I just moved into a new home, so we are getting ready to set up the internet here. I like your point about choosing a location in the middle of your house for the wireless router. We’ll be sure to do this so that we get even coverage throughout the whole house. Hey how do you setup Netgear ex7000? Hello! Maybe you would find this useful: https://kb.netgear.com/26079/Install-EX7000-as-a-Wi-Fi-Range-Extender Thank you! When you are working with your router that is the more important thin that your router is working properly and you don’t have any problem and we like to make that more clear to understand all feature of your router that is the cause you have to get the assist Asus Router Customer Service for any kind of the technical support. How do I log into my Netgear Wifi Extender? Can’t access Netgear WiFi extender via http://www.mywifiext.net, anyone help me how to Netgear Extender http://www.mywifiext.net Login. I was looking for Setup my new Linksys Range Extender, but I didn’t know How to Set Up a Linksys Range Extender, So I got a site linksysextendersetupinfo.com where they explain about range extender setup. I just wandering to know that mentioned information is correct. Can anyone help me? Really Appreciate You Humble Effort! It is the best article till now the security purpose well in my educational experience no one wants to change their password because it compilated and no one has that much time otherwise your post is too good for the knowledge. Hi and many thanks for your kind words! Happy to know it was useful! Thanks for reading our blog! Now home wireless network need to secure otherwise our security system will damage. Now most of the security came use WiFi internet for that reason any one can handle IP camera from office or mobile. This is really helpful article for us, thanks. Youre so cool! I dont suppose Ive read something like this. Thanks for increasing knowledge. Thank you so much for your feedback! Really appreciated! Hi Andra Zaharia, Your is very helpful who is planning to secure their home by installing home security. I want to ask a question, which type of Firewalls and Security Software should I use? Hello and thank you for your comment. First of all, I recommend checking if your wireless router has a built-in firewall. Usually, your operating system (Windows) has a firewall that it’s recommended to be turned on. If you don’t have an antivirus, I recommend installing one. You can use this guide to help you choose the one that suits your needs: https://heimdalsecurity.com/blog/what-is-the-best-antivirus/ Also, an AV isn’t enough to protect your device from online threats, and you should complement it with an proactive security software. You can try Heimdal for free (https://heimdalsecurity.com/en/products/heimdal-free) to see how it proactively stops malware from compromising your system. Great Post. Nicely Described steps to improve wireless home network security system. Thanks for this Article. Well in my professional Experience as a networking consultant, most people dont even bother changing the default password and enabling encryption, and these are the basics, if you don’t cover the bases, security is blown. Thank you so much for your feedback, Albert! Happy to know this article was useful. Indeed, there are many reasons to establish a home network. I prefer to use it to access files and folders on all devices connected to the network. Home base wifi network is really great invention, within a wifi router around 8-10 house member can easily use internet. Another good idea is to turn off WPS functionality on your router. Just in case someone tries to guess the PIN number using bruteforce. Hello and thank you for your suggestion, Bruno. Indeed, that’s a good idea to better secure your network. We’ll add this in our article and update it. Have a great day ahead! Hello and many thank you for your feedback! Happy to know it was useful. These are very nice topic every one should read and get knowledge I think It is helpful for everyone to get his home secure. In today’s securing the personal data is hard. But if there is strength protection its hard for the hackers to steal the data. I love this 10 tips. It covers everything for the wireless protection. Thank you so much for your feedback! We are happy that this information was useful! Thanks for the tip that a wireless password should be at least 20 characters long. 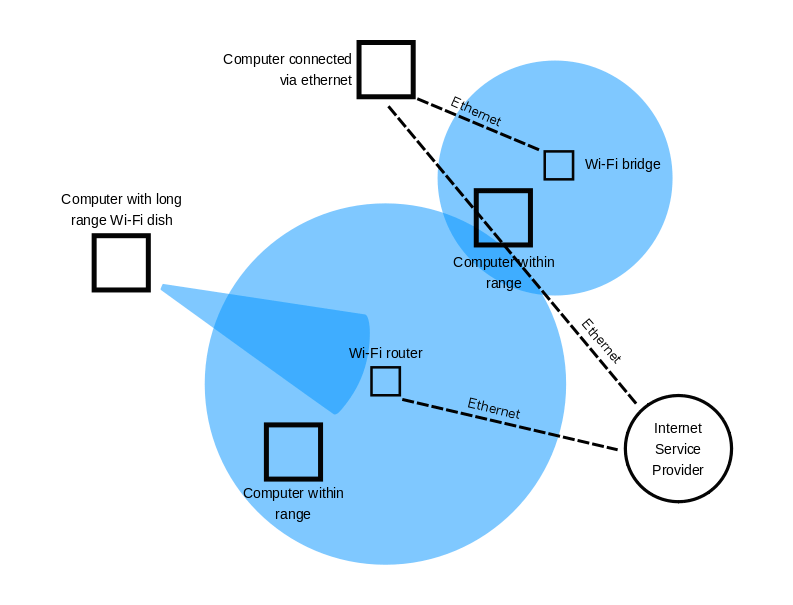 I would like to get some new wireless internet in my home and I want to make sure that I have enough security for the connection. Perhaps I’ll go ahead and look at enabling network encryption when I get my internet fixed up. I also need a new wireless net and I need to secure them too. Thanks Paul. You have given some effective security tips. Glad to know these security tips helped you, Kevin! Many thanks for the feedback and thank you for reading our blog! Interesting blog ….very helpful to readers about Network Security Solutions in Hyderabad…thanks for sharing keep posting..! Everyone is using internet nowadays, thanks to this article it is really helpful to improve the network security of your home to keep yourself safe from the cyber threats. There is a large range of best wireless routers that are available online. Thanks to this article of yours, it will be really helpful to improve the home wireless network security. Thank you for sharing this valuable piece of information with us. I have taken a lot of notes from this article. I must say am highly overwhelmed by your whole story. Anyway, we are email help desk team offering online email support service. This is for the people who don’t secure home wireless network. Excellent information! Very helpful post thanks for the info. This article got me interested in securing my router at the house. I then found that their is a genre for router security were I found a few things that were not covered on this list such as changing your Default IP Address to a less common one to make it harder to track and applying a DNS server such as Open DNS to filter content on the internet. I have done both these things and found them to be helpful. A Wi-Fi surveillance camera on your front porch, over your garage, or attached to your back deck can provide a peek at what really goes bump in the night, whether that’s someone stealing packages off your steps or raccoons going through garbage cans. You don’t have to invest in a multi-million dollar surveillance system to keep an eye on your property and possessions. In the event that your alarm system is set off, your home security system sends a wireless alert to the monitoring company where security experts are standing by to respond by instantaneously getting in touch with you and if need be, the regional medical, fire or police authorities. As most people don’t realize any security issue of their home wireless network, this post is quite helpful for not only pointing out this problem, but also providing so many tips for WiFi securing. I will recommend it to my friends in no time! thanks for this great article , i have my wifi router , can i use it without wifi password , so my friends donot need password to connect to the enternet ? Disable the wireless network when you’re not at home — I never thought about it.. But after reading this article i found there are lots of things i was doing wrong. Now i can secure my router from hacker. I have also read other articles on same topic on other sites like PickMyRouter and many more but they were not that good at all.. thanks to Heimdal for this great information. Hi Paul,thanks for providing this information,it really helpful for people like me that are not security savy to learn more on how to protect wireless security.Hope to learn more about security on your blog again. Home Wireless Network Setup: How to Create a Wireless Home NetworkTry to install your wireless router in a central location within the home. If you want to better network speed then you need your computer closer to the router than computers further away. thats was great to read about this lines. Insightful article. We need to understand that most home networks are prone to attacks and it is crucial to keep them in check. This article can act as a guide to ensure the security of home wireless security. Thanks a lot! Glad that you found it useful, Steven! Thanks for sharing your feedback! Another tip – disable PIN access – Reaver may still work on some routers. Thanks for the addition, Bruno! It’s always welcome. And thank you for the kind words! This article is the best solution I have read where any non tech savvy person can follow the instructions! To further increase my wi-fi security I installed a 16 port switch and connect ethernet to all my devices (6 PC’s and 2 voip services} and only use wi-fi for my phone. I have tried to hook up ethernet to it with no success. Thank you SO much for your support , Earl! It really means a lot and I’m glad you find our posts and product useful. Your feedback is always welcome! Would you like to consider changing the default IP addressing on the wireless router, and make use of static addressing rather than DHCP ? Thanks for the suggestion! We’re going to update this guide soon, so keep an eye on it for improvements. To prevent unknown PCs from connecting to the RG via Wifi, please select the mode ‘Enable MAC ACL’, and in the mean time fill in the legible PCs’ MAC addresses in the access list. It could be a help. Thanks for the tip, Bernd! We’ll try to incorporate this piece of advice when we’ll update the article with new information. Doing this is good. But if a hacker can compromise one of the devices, the hacker will be exposed to “ALL” of your devices. Access control lists are great, but can be a disadvantage too. You can check online as there is a debate over this one. I also use FrontPoint Security, and I’ve been really impressed with their system. The DIY installation was painless and their customer service has been very helpful. I think it’s one of the more under-rated security systems on the market. Here’s a review of Frontpoint Security that I recently did. Nice points for homeowners to care of and they don’t cost you a penny. Sans hackers, wireless is the best network. Some home security providers, like Frontpoint Security, provide Free Smoke & Heat Sensor, when ordering system over the phone. Your post is a big help for people who is planning to secure their home by installing home security at home. Having a security system should be knowing the Ultimate Guide Wireless Home Security System for better understanding of functionality of the system. This is a good article. There is one thing that you can add on to prevent people from sniffing in your wifi. Its to prevent the broadcast of your SSID. This can be accessed on your router interface. With this function enabled, it will be hard for people to notice your SSID hence increasing the security threshold. Do check my blog @ http://www.networkingbasicfundamentals.blogspot.com as i go through the basic of network security! Although this would make your network invisible to your neighbours, any determined hacker can still sniff out your SSID, right? ; and you are implicitly forcing your computer to shout out your SSID anywhere you are, while it is trying to connect to it. Anyone could then impersonate your router with that SSID, and get your credentials that way. This is great list and covers all the top points. None of these improvements cost a single dollar. To help people, especially those who are not security savy, comply with #10 I suggest checking out GEARS by OPSWAT. It’ll give you a quick security assessment as well as some other free features.